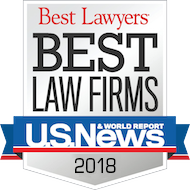 Dingess, Foster, Luciana, Davidson & Chleboski, LLP, has recently added two members to its premier group of trial attorneys and counselors who are dedicated to resolving construction and engineering disputes. John Miller and Jeremy Knaebel have joined the firm as senior associate attorneys. John comes to DFL Legal from Jones Day in Pittsburgh after a ten year span and earned his J.D. from the Duquesne University School of Law. Jeremy spent the last nine years as an attorney with Pittsburgh-based law firms, was selected as a Pennsylvania Super Lawyer, Rising Star in 2015, 2016 and 2017 and earned his J.D. from the Duquesne University School of Law. DFL Legal's professionals have handled hundreds of projects in nearly every state in the United States, along with more than 20 different countries abroad. The firm's expertise spans a diverse cross-section of the industries, including oil & gas, power generation, pulp & paper, chemical, iron & steel, commercial, heavy highway and tunnel projects.